A pirate treasure hunt or a princess’ ball, you choose the characters and we help you to find the team who take care of the story. The celebration lasts 3 hours: musical entertainment and games guaranteed to amuse, followed by snacks and ending with free play in our play space. 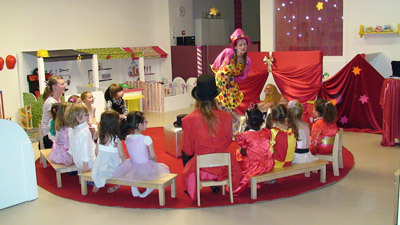 Ursule et Zoe is the best place for your child to celebrate her/his special day among friends. A party that your child won’t soon forget!